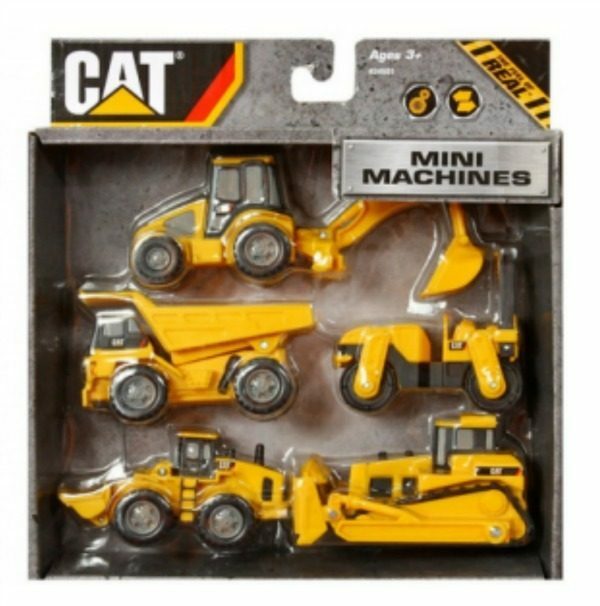 Caterpillar Construction Mini Machine 5-Pack Just $5.88! You are here: Home / Great Deals / Amazon Deals / Caterpillar Construction Mini Machine 5-Pack Just $5.88! Head over to Amazon and get the Toy State Caterpillar Construction Mini Machine 5-Pack for just $5.88 (reg. $9.99). My boys have these and love them! A complete construction site in a box, just add dirt.